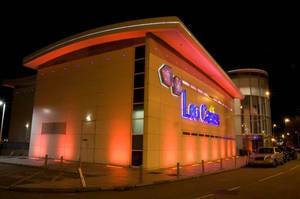 Leo's Casino: situated on the Queen's Dock next to Liverpool's world famous Albert Dock, Leo's boasts twenty gaming tables, an à la carte restaurant, two cocktail bars, live entertainment on weekends and panoramic river-views on two floors to offer you an exciting gaming, dining and entertainment experience. The gaming areas offer nine Roulette, four Blackjack, four 3 Card Poker, Casino Stud Poker with progressive jackpot, and Punto Banco tables. Leo also has twenty two Touchbet Roulette terminals and ten jackpot slot machines. Membership to Leo Casino is always free. All members bringing guests must ensure that each guest bring appropriate identification.